You can see on the menu bar of this post “Spanish Term Index”. This is a “page” (not a post) in WordPress.com terminology. I just caught up a bit and have now indexed terms on the oldest 20 posts (of now 67). I only include terms that I discuss enough in a post to get a reasonable understanding of the term (casual mentions without definition I exclude). So I have a lot of work to do to catch up with all the more recent posts. Fortunately WordPress.com and MicroSoft Word cooperate with each other. MSWord has a variety of tools to make updating the list easier. When I’m done then I can copy the list from MSWord and just paste into WordPress.com’s page. This page is going to get very long, once I catch up and then keep updating from new posts. In addition to providing a guide to you, Dear Reader, this also provides me the opportunity to quickly see if I’ve done terms in previous posts and thus avoid a later post (unless I have new information) that would be redundant. Note that the index does NOT provide the English translation (you’ll have to click on the links to see that). So I have another page, now out-of-date as well that will be my accumulated glossary, which I hope, someday, to be the most complete and accurate glossary you can find on the Net. Right now it’s more an experiment than my actual “authoritative” (i.e. researched) glossary but [eventually] it will be my glossary. WordPress.com isn’t the best tool for compiling a glossary but it’s all I’ve got. OTOH, glossaries (or dictionaries) I’ve found elsewhere on the Net aren’t so great either (either the method of access or their content). Maybe if I get a really solid and very good list I’ll spring for a website and build some interactive code to be able to lookup these food terms from Spain. If not a smartphone app (that is, something a lot more portable that could work offline) at least you could come to my glossary, with the browser in your phone (if you have a connection) to get information about menus. That may have to do until I can figure out how to actually code an app and have a really good term list for it. I’ve been distracted for over a week and so have fallen behind in my research and virtual trek. The painful toe has held me to hardly any progress along the Camino but I am now a mile outside Santo Domingo de La Calzada and so it was time to look forward to any restaurants there with online menus. I’ve explored one, Los Caballeros, which revealed a few interesting translation challenges. As my regular readers already know I’m developing a corpus of matching pairs of English and (Iberian) Spanish food terms to eventually drive an app to aid travelers in decoding menus in Spain. Most menus of restaurants in Spain don’t have their own English translation so I’m dependent on Google Translate [GT] (sometimes other tools) to show the English. Google does a credible job but makes interesting mistakes. And it is those mistakes, either failure to translate at all or a silly-looking translation where I start a bit deeper research. For instance, GT didn’t translate membrilo which is understandable since this is actually a misspelling (or typo) in the online menu for the actual term membrillo which often appears on menus and translates to ‘quince tree’ (this appears to be another case where the plant is masculine and the fruit of that plant is feminine but I’ve rarely seen membrilla and several dictionaries didn’t recognize it (the authoritative one did). So mystery solved in trivial fashion, but let’s continue to see what we find. In Spanish cuisine, sofrito consists of garlic, onion, paprika, and tomatoes cooked in olive oil. In case you’re not a foodie, mirepoix (AKA as holy trinity colloquially in USA) is onions, celery and carrots – not paprika or garlic, definitely not tomatoes. So you get the idea. Some terms that seem to baffle Google Translate are just cooking terms (either direct loanwords or something close) that you’ll just have to know in order to understand what the item is. And then there is something like chorizo. Probably the majority of people in the USA would know something about what this is, but most likely they’re also familiar with the Mexican version of this sausage which is fairly different from the version in Spain, which in turn emphasizes different recipes for the sausage from different areas. GT doesn’t quite get morcilla right (‘black pudding’?). This too is a famous “blood” sausage in Spain and it is quite dark, hence ‘black’ isn’t too far off but ‘pudding’ doesn’t make much sense. And some people might be put off by such an item so it’s appropriate that a traveler actually know what morcilla is and not depend on any form of translation. A few other terms from this menu are some sort of regional reference. The D.O. and D.O.P. is becoming more widespread as branding. It’s not really a big mystery (I’m still convinced the San Marzano tomatoes we grow here in midwest are equivalent to the D.O.C. ones from Italy). So here are a few from this menu: A) Jamón Ibérico de Bellota D.O. Guijuelo, they made this easy (on this menu, not always shown this way) to clue you that Guijuelo is just a geographical reference; (the province of Salamanca in the autonomous community of Castilla y León (which is next door to our current location) – knowing some geography of Spain can be handy to a traveler). And of course you already knew what the Ibérico de Bellota reference means, didn’t you, since it’s about the single most common you’ll encounter (and pay extra for) [in you don’t know, it’s your homework assignment to look it up]. BTW: D.O. Guijuelo is not that big a deal as it appears 60% of the Ibérico comes from there so this is about equivalent to saying “pork from Iowa”; B) Anchoas del Cantábrico is another geographical reference that Google did translate as ‘Cantabrian’ but so what? This online source selling a 4Oz jar of these for $9.99 claims “Cantabrian anchovies are renowned for their quality, …; nothing like the typical anchovies found in supermarkets.” and this had better be true for this price, hopefully less in Spain; C) Pera de Rincón which it turns out has a longer DOP designation, Denominación de Origen Protegida Rincón de Soto, and appears to be a big deal; and last D) Espárragos Extra de la Ribera (GT says: Asparagus Extra of the Bank) – I’ve seen de la Ribera before and already learned that while Ribera translating to ‘bank’ (or sometimes, more helpfully, river bank) is nominally correct this usually is a reference to the bank of the Ebro River whose “bottomland” (as we’d call ribera here) is premium area for a variety of vegetables, note that Espárragos is seen on menu (in northern Spain) also with the designation of de Navarra or de Tudela which almost always refers to the same thing as de la Ribera, i.e. the famous thick stalks of white asparagus. Now all this may seem to be foodie trivia BUT you’re probably going to pay extra for items with these fancy qualifiers and you’re not going to get a helpful translation from your phone on these so you just need to know. And here are a couple of other foodie terms from this menu (btw: I consider myself a capable foodie but sometimes miss these as well). Briefly: A) Ensalada de Pularda Confitada where pularda translates to the French term poularde which is then close to the English term pullet, IOW, a young chicken; B) Semifrío de Chocolate where semifrío translates to the Italian semifreddo which doesn’t have any direct English translation, again you just have to know what this is; and, C) the considerably more obscure, Pimientos Rellenos de Brandada de Bacalao where brandada translates to the French equivalent brandade which is ” an emulsion of salt cod and olive oil eaten in winter with bread or potatoes”. I’m running out of time (and you, Dear Reader, out of patience or interest) so I’ll briefly mention a couple other items that have no translation and appear on this restaurant’s menu: A) Cameros, a particular type of cheese; B) Ajoblanco, a particular kind of soup, sometimes known as “white gazpacho”; C) Pochas, a unique type of bean that looks like ordinary beans, but is “fresh”, meaning it is removed from the green seed pod (like sweet peas) without drying and then cooked – this is very common in this part of Spain; and, D) Caparrón, which is a type of stew with multiple recipes based on a particular bean. There are even more examples of these, just on this single example of a menu, and these pose a particular challenge to a menu assistance tool (smartphone app). It’s not going to help to translate more accurately than Google Translate (which will certainly be the goal in other cases, such as GT missing apiopia which is the somewhat obscure celeriac. An explanation must be provided (possibly picture even better, getting public access to those is a challenge) and the explanation has to be short enough to help while quickly scanning an menu but sufficient for you to decide if you want to try the item. you know a la Riojana is just in the style of La Rioja (whatever that happens to be, but again something you’d just have to know) but what the heck is a ‘handy pig’? manitas does literally translate to ‘handy’ or more often ‘handyman’ but that doesn’t tell us much. Perhaps this is a better reference and I’d definitely want to know these are pig’s trotter which still takes a bit of thinking to translate that to ‘feet’. GT doesn’t help you much with callos, which in one case it doesn’t translate at all and in another it translates to calluses. I’ve mentioned this in a previous post so I don’t need to remind you this really, crudely, is ‘guts’. I suspect, unless you’re a totally adventurous eater, you’d want to know this one. If you have visited Barcelona or the Catalonia region, maybe you have tasted Pan de Cristal, which is the local version of the ciabatta bread. I say it’s a version because there are many things that make this bread so special. The main difference is that the crust is thinner, crispier and more delicate than a ciabatta, and the crumb is lighter and more opened than a ciabatta. While this description explains the terminology I had to dig a bit to find how the dough itself is altered. Basically sugar and a little olive oil are added. Breads without diary or fat or sweeteners are referred to as “lean breads” (ciabatta itself would fall in this category) and breads with these additions are referred to as “rich breads” (most notably brioche, the famous “cake” of Marie Antoinette’s saying). Like ciabatta it has to be a very wet dough. So this one I’m going to try since I really like crispy crusts. And, in the second entry you have the interesting de Búfala, which foodies know as the specific (and best) way to make Mozzarella, i.e. from buffalo milk. And GT missed translating Rúcula to ‘rocket’, which in case you don’t already know is another term for arugula, another term most people in USA wouldn’t have known a few decades ago. Food seems to be the great globalizer for all of us. So just a single menu of a single restaurant exposes all these challenges, which are also somewhat regional. It gives me a lot to think about as to how I can build my menu assistant app. And it should challenge you, Dear Reader, that unless you’re fluent in Spanish so you can ask about menu items, learning some of this kind of food knowledge will make your menu selections more effective (both getting what you do want and avoiding what you don’t want and knowing if the price is justified). Even though tataki doesn’t have a tx in it I leaped to the WRONG conclusion this might be a Basque term. A little research shows it isn’t Spanish but from way on the other side of the world, i.e. Japan. You might have to be chef level of foodie to know this one. Yesterday while in a waiting room I was reading a UK article (found in search about names of cuts of meat in Spain) about “old” beef. I thought I recalled the term they used and, yes, I’d attempted to figure out what TXULETÓN DE BUEY was on a menu. My only hit on searches led me to the idea this might be a brand name from a famous meat supplier TXULETA. I’d previously tracked down Alcachofas de Tudela (Tudela artichokes) and learned Tudela is just the second largest town in Navarra and near growing areas of artichokes and other vegetables. For instance, a common dish is Cogollos de Tudela which is that same sense of Tudela (as a place) but cogollos was a bit curious given literal definition as shoots or sprouts or buds. But then I noticed in the sense of a leafy vegetable it means ‘heart’. If you Google search for Cogollos de Tudela and look at images it is easy to see what this means – the inner leaves of a head lettuce that looks a lot like romaine (apparently it’s different but well-known in Spain and merely referred to as Tudela). Note: As a menu item it is often served with anchovies and dressed with olive oil. So the point of all this is one challenge deciphering menus in Spain will be using terms that aren’t going to be in any dictionary (or smartphone app) and aren’t going to have any obvious meaning even if you learn Tudela is a city in Spain and therefore in some sense a Spanish word (proper noun) but unlikely to have any translation. These are just names or perhaps brand names (GallinaBlanca doesn’t mean white hen in a menu item but some product from that company) that would be known in Spain, and, possibly something you can find with a search for the whole phrase, but basically a bit tricky to figure out. Again, given you had conversational skill in Spanish you could just ask your server but if you don’t have Spanish fluency you need a quick answer (which eventually my app will supply). So back to TXULETÓN DE BUEY. buey literally translates as ox but really it has the same basic definition as steer in the U.S., in other word ‘beef’ even though ‘de vaca‘ is less ambiguous term for ‘beef’. BTW: ‘de res‘ is also found in dictionaries as ‘beef’ but that almost certainly for Mexico not Spain. So far so good. I should have noticed, in other menus, seeing CHULETÓN, including with DE BUEY qualifier. Notice the pattern? So, duh. This is Navarra, i.e. heavily Basque influenced and euskara which often uses tx- at beginning of words AND, as I more recently learned, is pronounced ch! IOW, TXULETÓN is exactly the same as CHULETÓN, which I’ll get to in my cuts of meat part 2 post, but from this post it’s just a large steak (roughly equivalent to T-bone) often for two people. So that answers that question but what about the clue I thought I saw that this was just a brand name from TXULETA meat company? In working on my part 2 post I was trying to figure out the difference between chuletón and chuleta (literally chop, cutlet) and bam, the light went on, the Spanish meat company is merely Chop meat company. So, at least in the northern parts of Spain where multiple non-Spanish languages may be in common use and thus on menus deciphering the menu may be a challenging task. And then, as well, the same Spanish word in Spain doesn’t mean the same as it might in Mexico or Argentina so good luck with that part as well. To get a really good vocabulary (to power a translation app) for Spain is going to have to deal with all this complexity. Thus far I’ve never seen any source that does that, although some cookbooks at least explain some of this. If you’re walking the Camino you’ll have time to absorb all this but if you’re blasting around in a car, crossing Spain in a couple of days, say from Barcelona to Santiago, you’d have some real fun stopping at restaurants where the terminology (or meaning of terms) changes in short distances. 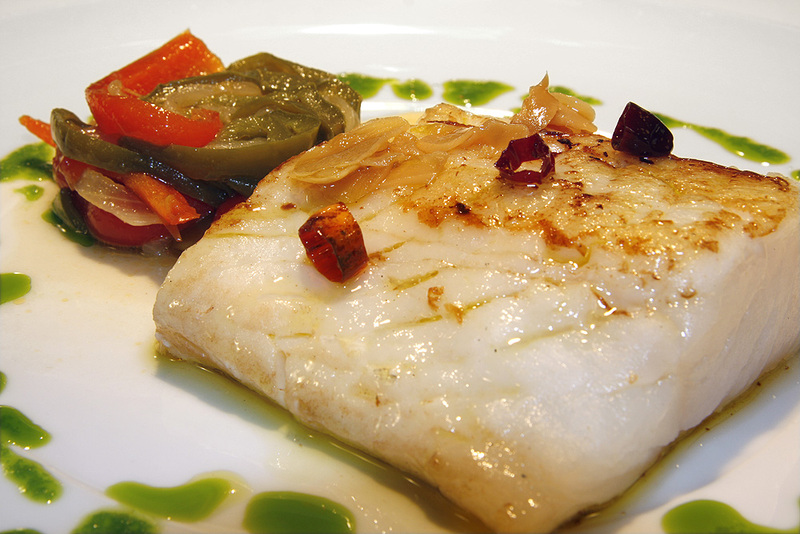 Many of the menus in Spain are a fixed price with some choices for each of the meal courses. This is a convenient buying option to be able to pick a price and then the items available within that price. You should notice these two words on the menu. incluido: Usually somewhere at the bottom these item indicates what additional costs might be included (or not, as in incluido) the bill, typically the VAT (tax) or IVA (in Spanish). But you may also encounter that one of the items as suplemento, an extra charge for this particular item. Or, for the cognate incluir is the verb and (incluyo, incluyes, incluye, incluimos, incluís, incluyen are conjugations that might be used), notice that no is not which may proceed these various forms to indicate something is not included. To avoid surprises you should scan the menu carefully and make sure you understand the possibility (or exclusion) of additional fees added to the check. Note that tipping is typically not done, although: a) in restaurants primarily for tourists tipping may be standard (or at least they’ll try to convince you it’s appropriate, given you are used to it in other countries), or, b) a small “round up” in the bill may be just a bit extra to supplement the compensation your server will receive.